Your Life. Your resume. Your Move! Post Your Resume FREE Today! *	* *	* *	* Job.com - Post your resume FREE! Search 1000's of Jobs FREE! Lost the Job: What will further Education bring me? Want to do an active search (Submitting your Resume to employers) for 30 days and publish your Resume in our pages for 90 days? Brussels is, besides the capital of Belgium, also the administrative capital of Europe. At least partly so. Some bits of the European Capital function, like the European Parliament, are in Luxembourg and Strasbourg and others, like the European Central Bank are in Frankfurt. By its nature, Brussels has a multi lingual and multi cultural environment. French, Flemish, English and German are the natural languages for that city. To which now, all the other EU languages have been added. It is a most pleasant city to live in, with nice and well educated people, scores of nice and excellent restaurants and, a sophisticated cultural life. However, to get a job in Belgium is not that easy and only the best educated people will succeed. There used to be many European headquarters of, mainly American, companies here. But for some reason, probably the influx of European civil servants, many of them have left, to be set up in other centers such as London and Geneva. The costs of living in Brussels are very high, and it is not easy to get a good apartment. Although, it is possible to find a job and work in Brussels, speaking English only, you will be missing much of the ambience and even more of its culture, if you don't learn French or Flemish. Your competition in the job market, Belgium's and other Europeans who have been attracted by the European institutions, will, generally, be multi lingual and you have to offer some desirable specialty to be employed there. The "B permit" is the standard form of work permit for most non EU/EFTA foreigners (e.g. USA, Canada Australia etc). Applying for a "B permit" is the responsibility of the employer wishing to hire a non-EU foreigner. You will have to submit to your potential employer a certificate of health, made out by a doctor approved by the Belgian Embassy in your home country or your country of residence, and three passport-size photos, which the employer then submits, with a copy of the proposed employment contract, to the Ministry of Labor. In order to issue the work permit, the Ministry of Labor must determine that there is no Belgian or other EU/EFTA national who can fill the position. 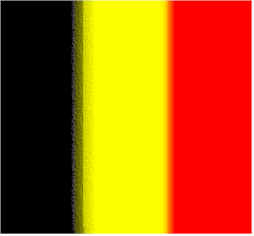 They may send the employer candidates for the job from their lists of Belgians drawing unemployment benefit. For higher managerial positions, the permit is usually granted with few questions. It can take up to 16-24 weeks for a "B permit" to be issued. Self-employed professionals from outside the EU/EFTA must apply for a professional card ( carte professionale/beroepskaart) in order to work in Belgium. A professional card can be issued for a period of five years. You will need a passport, medical certificate (as above)and a police certificate (certificat de bonne vie et moeurs/bewijs van goed gedrag en zeden) in addition to proof of your qualifications in your profession. You might also, depending on your profession, be required to show income or funds to ensure that you have enough to live in Belgium. For instance, to qualify as a freelance writer, you will need to submit copies of published works and evidence of sufficient current income from freelancing as well as your earnings from free lancing over the past few (usually 3-5) years. Leapforce is looking for highly educated individuals for an exciting work from home opportunity. Applicants must be self motivated and internet savvy. As a search engine evaluator, you may participate in a number of different evaluation projects, including web search, video evaluation, maps, local, automation projects, etc. Belgium is the European champion in terms of the number of occupations that are regulated and require some form of license or certification. Many trades (e.g. photographer, used car dealer, plumber, electrician, bricklayer) require you to register your qualifications with the appropriate Chamber of Crafts and Trades ( Chambre des Métiers et Négoces/Kamer van Ambachten en Neringen), particularly if youre planning to be self-employed. Executive Recruiter - Contingency Searches - Resume submission Based in the Netherlan Belgium Dutch, Flemish, French, German English Specialist in the brokerage of top-quality jobs for enthusiastic expats. Knowledge about the must-haves for management positions at international companies. International contacts in countries all over the world. LEX can be found in (eccentric) places where expats move. 11 in the Americas Belgium Dutch, Flemish, French, German English, Japanese Amrop is a major and unique resource in international executive search. Its member firms have 89 offices in 57 Countries. International Executive Search - Contingency Searches - Resume submission Belgium, French, Dutch, English Schelstraete & Desmedt is a leading Executive Search firm in Belgium. We support clients in achieving their business goals through the recruitment and assessment of executives and board members. Schelstraete & Desmedt conducts senior level executive search assignments across a broad range of sectors and functions. Tel. +32 (0)2 644.20.43 International Executive Search - Contingency Searches - Resume submission Belgium, Dutch French, Dutch, English German MCP International is a well-established, Brussels and Rotterdam-based executive search firm, handling assignments for senior management level appointments in Belgium, the Netherlands, Germany, France and the UK. Clients tend to be leaders in their field of activity and operate internationally. 1200 Brussels International Executive Search Contingency Searches - Resume submission Belgium, French, Dutch, English Recruiting new staff members is a delicate task of major importance for your organization. To increase your chances of success, the A&ES Group offers you creative solutions suited to your needs. About 65 per cent of jobs advertised in newspapers are aimed at Flemish speakers. The major daily newspapers are in French, Le Soir, La Voix du Nord, (although, this is in Northern France), in Flemish, De Standaard, He laatste Nieuws and De Gazet van Antwerpen. Industry publications from the UK, Germany and other countries have ads for positions in Belgium and other areas, particularly those requiring specialized skills. International newspapers and magazines that sometimes carry advertising for executive positions in Belgium include the Financial Times (Wednesday and Thursday for the UK edition, Friday for the international edition), the Frankfurter Allgemeine Zeitung (in the very large Saturday jobs section), the Wall Street Journal (for business managers), the Economist (economic professions, university teaching and administrative positions as well as executive posts in international organisations and many EU postings), the International Herald Tribune, and occasionally, the London Sunday newspapers. Our most recent feedback is that it is extremely difficult for people outside the EU/EFTA to get jobs, even in higher management or executive positions.The exception would be, if you can approach a company in your own country and convince them to arrange an executive transfer to their Belgian subsidiary. Self Evaluation: What are you Capable of? and tell the world that you are available? $ 9.99 and takes five minutes to submit the text by e-mail! Fx: +32 2 640 10 69 Job Board and Internet Recruiter - CV posting and Vacancy Searches Belgium, Dutch, French, English, German Ocal and International Our aims are to represent your goals, objectives and corporate philosophy to selected candidates and effectively communicate and educate them about your business and their potential place within it. Our consultants are able to quickly identify the context of the job and select the most relevant candidates. Quality is key, not quantity. We have a personal, honest approach and a dynamic straight-forward working method. Our candidate database comprises a broad range of educated, flexible, multilingual professionals who can add value to any Fortune 500 company. What kind of Business suits me? Send e-mail to webmaster with questions or comments about this web site. Copyright © 1998-2018 JobLine International LLC. ©ipg™ - All Rights Reserved. JobLine International™is a registered Trademark of unigroup (holdings) ltd.